Have complete peace of mind with this fantastic CCTV Package! 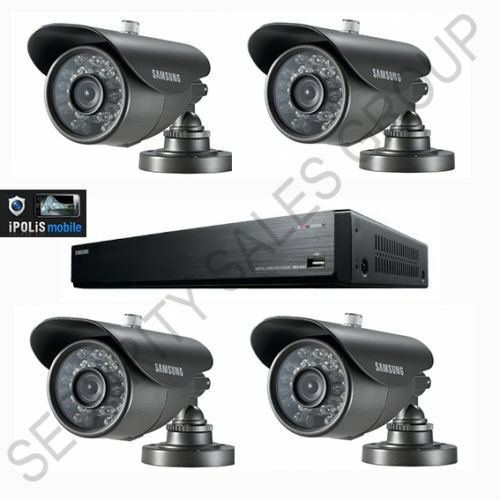 This system enables you to view your cameras remotely, wherever you are around the world with the Remote Viewing facilities. Samsung's new SRD-842 is a 8CH 960H Real-time Compact Design Coaxial DVR, with an easy user interface, common across all Samsung DVRs. Featuring the ability to set independently for each channe the REC, Quality, and Resolution. Samsung's new SRD-842 allows for convenient network monitoring through various application such as Web viewer, SSM, SmartViewer, iPOLiS smart phone app.